i recently had a new clutch and flywheel fitted on my Ford Focus by a so called qualified mechanic but it now has the bonnet warning light on the dash the brake warning light on the dash no alarm and no working air con all at the same time. The mechanic also had tried to bridge the wiring to the bonnet latch in the hope to by pass and get the warning off the dash. I’m now £700 lighter and the car is constantly proving that it was built on a Friday and don’t want to pay out for an auto sparky just yet so was hoping someone on here may have any idea what to check for. Sounds like they either forgot to plug some wiring back in or blew a fuse in the process. I'm not sure I'd trust a mechanic who tried to fix something they've broke by just bridging the system. Well the alarm and bonnet sensor will both be caused by the bonnet switch. Bridging out the bonnet switch should fix both issues if the switch is broken, so there is likely to be damaged wire further back. Brake warning light is probably a damaged ABS sensor when the driveshaft was removed...will need diagnostics to confirm that. Broken air con could be a simple damaged wire, but it's highly likely that a pipe was broken or the AC radiator was damaged while removing the gearbox, so all the gas has leaked. First thing to do would be have the gas pressure checked to see if there is still a decent amount in the system. TBH the car should have been handed back to you in the same condition + repairs that were done , i put it back in the garage and make shure you get a loan car paid for by them untill it is fixed at no cost to you , go to trading standards, also see if your insurance has and Legal sections on it that you can use if your mechanic refuses to do this . hopefully he will fix it and keep a loyal customer rather than loose one . Thanks for both reply’s I should have mentioned that the diagnostic showed up as low brake fluid but again that’s incorrect as it’s full to the brim and I even pulled the plug to make sure it wasn’t the float being stuck. Ah that's interesting. 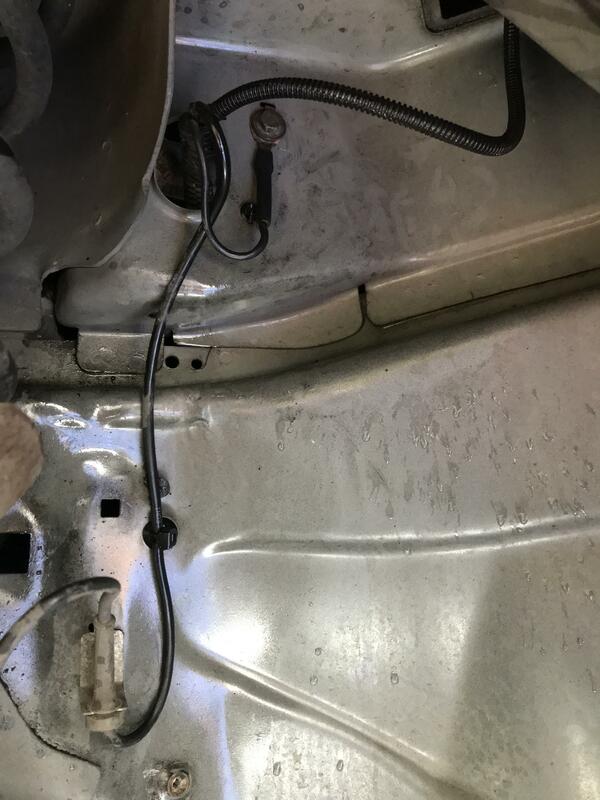 The fluid level sensor is very close to the air con pressure switch so you could be right about a dodgy wiring connection. Odd thing is, both are the opposite side to the gearbox and shouldn't be affected by engine movement even if he lowered it too far trying to get the gearbox out. I don't know which side the bonnet switch wiring runs but that could well be in the same area as well. I guess you've tried following the wiring back as far as you can see? 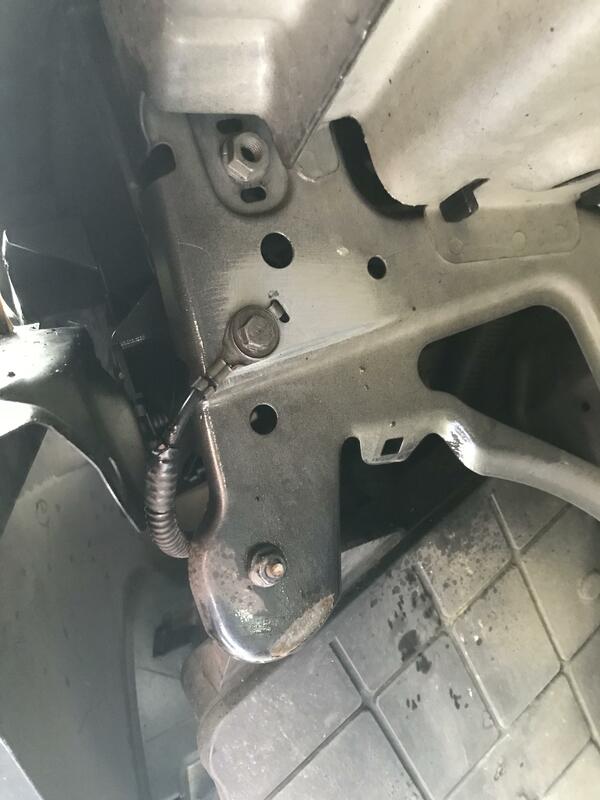 Also worth checking that an earth connection hasn't been left off anywhere, they are the ones bolted directly to the chassis. Yh kinda took a quick look today and they run back round to the battery as far as I can see. Bonnet wiring runs round the front also the the right ... I’m assuming they go into that far right fuse box but I’m sure the fuses look fine as far as my knowledge goes I can’t see any lose earth cables from above either... it kinda worked for twenty mins so has to dodgy wire somewhere or like you say a bad earth or not connected. There could be something in the earth wire idea. From the drawing fragment below, the Hood (bonnet) switch, A/C, brake fluid & brake pressure switch all share the same ground point. The left front fender. I am not sure exactly where that is, but the wire codes may give a clue. Had a quick look today and cleaned up a couple earth cables didn’t seem that bad tho. I took one cable off at a time completely and same issues arisen on dash with no alarm put it all back and all worked fine with alarm so hopefully these are the ones that have been causing the issue it’s been an hour and no alarm gone off as of yet so fingers crossed. Iv posted a couple pics just for clarification if someone knows of these are the earths for the left front fender..